Peter Griffin and his family will be back next fall. 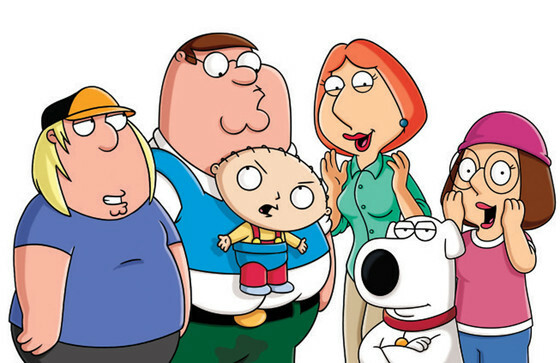 To no surprise, FOX has renewed Family Guy for the 2015-16 season. The voice cast includes Seth MacFarlane, Alex Borstein, Seth Green, Mila Kunis, and Mike Henry. The ratings have been down this year but the animated series is the fourth highest-rated scripted show on the network. It’s been averaging a 2.17 rating in the 18-49 demographic with 4.27 million viewers. Season-to-season, that’s down by 7% in the demo and down by 9% in viewership. What do you think? Do you like the Family Guy series? How long do you think that it can realistically continue? This tv show needs to just end. The past 5 seasons have just been awful. They continue to go for shock value rather than humor. And I’m sorry, but playing an entire music video for no reason isn’t funny, it’s called laziness. And stop rehashing the same joke over and over again. It’s only really funny the first time. Any more than that and it’s pathetic. American Dad is far superior.